I recently acquired a Hamilton Field Khaki watch that came with a stainless steel bracelet. It was nice, but much too formal and I was in the market for something more casual while still maintaining the classic appeal of the time piece. 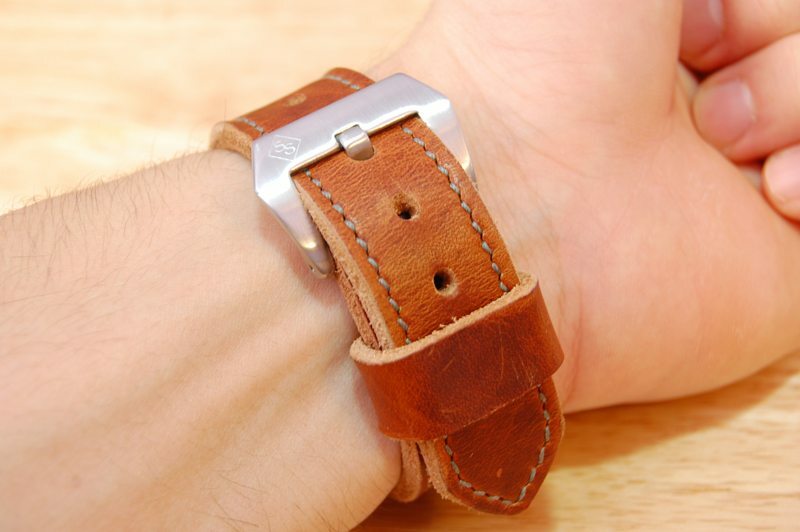 That is how I found and purchased a SNPR Leather Works Custom Watch Strap. SNPR Leather Works has been around since 2011 and operates out of New Jersey by the owner, designer, and maker, Joe D’Agostino. In addition to watch straps, SNPR offers wallets, keychains, belts, and even shirts. All the leather goods are handmade by D’Agostino. I’ve had the chance to correspond with Joe via email several times during the course of my order and I can say that his customer service is great and response times to inquiries are fast. The strap received was the Horween Chestnut Dublin. As the name implies it is a chestnut color which displays beautiful contrasts and exhibits some natural scarring for added character. The vegetable tanned leather is beefy, measuring in around 4.5-5mm in thickness. Nylon bonded thread is used on the strap. Stitching is very clean and tight, no loose ends in sight. Arbor pressed holes for the threading and notches are smooth. Edges are natural cut which leaves the full grain exposed for a rugged allure. The buckle is brushed stainless steel. The floating keeper is cut from the same hide to ensure proper color matching. Overall presentation of the strap is nearly flawless but with enough coarseness to give evidence to its handmade fabrication. Upon first use you can’t help but notice the stiff, stubborn nature of the strap. This is perfectly normal of new leather and will become more pliable with use. I have a 7” wrist and found myself switching between the third and fourth notches, one being too tight and the other too loose. However the leather will stretch with wear and I suspect the tighter fit will eventually become comfortable. When on the wrist the fit is comfortable but noticeable. This is an inherent trade off with thicker straps, but not enough to forgo their use. The large buckle can sometimes be felt on the tendons of the inner forearm when performing wrist movements but a looser fitting will correct this. I like my watches snugly fitted with little play on the wrists so an occasional pinch from the buckle is expected. Once on and about my daily business the strap performs admirably. The large 44mm Hamilton feels secure and looks confident. The size of the strap will overpower smaller watches but I feel it will compliment any large faced timepiece. I found myself checking the time more often than necessary just to admire the quality and visual appeal. Even my wife who wouldn’t notice me wearing a Patek Philippe remarked on how good the watch looked and that speaks volumes. It’s rugged and yet subtle, imagine Tom Selleck chopping wood in a wool blazer. The waxed pull up (a term referring to the lines in the leather caused from pulling and stretching) leather will only get better with age and I anticipate a beautiful patina in a short while. The $170 price might not be for everyone but you certainly get what you pay for in quality and looks. 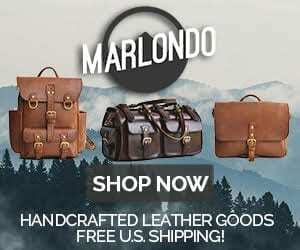 With a huge variety of leathers and thread colors offered you’re sure to find something to your liking. These straps will last you for years to come, and only look better with age. 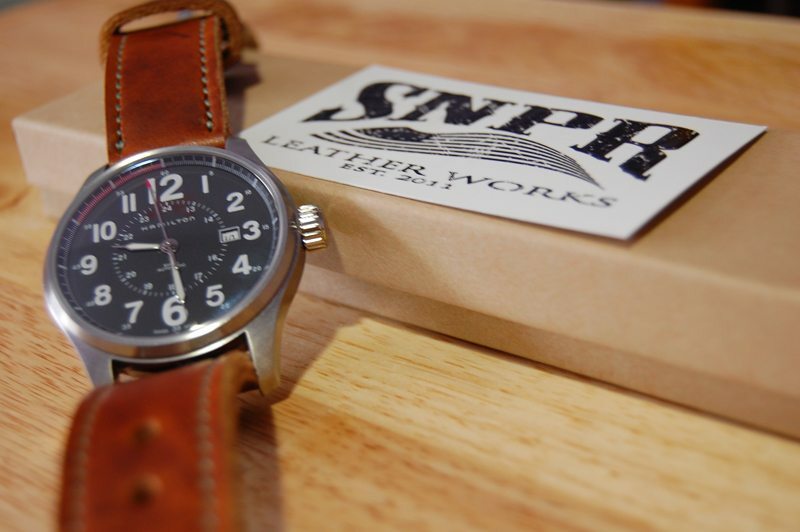 So if you’re in the market be sure to consider a SNPR Leather Works Custom Watch Strap.